Enjoying highly encouraging results during the business year 2016, Husqvarna Motorcycles have come close to doubling both their production and turnover in the last two years. Reaching total global sales of 30’700 units during the 12 months to December 31st 2016, the European premium manufacturer achieved an increase of both, units sold and turnover, of 43%. This result follows the 32% gain in bikes sales during 2015 and underlines the brand’s positive strategy of growth. Generating the largest ever turnover in the brand’s history at the end of 2015, Husqvarna’s annual, worldwide turnover increased significantly in 2016, reaching more than 200 million Euros. 2016 saw Husqvarna successfully launch the all-new 2017 line-up of FE and TE Enduro models, available from September onward. In addition, the new 701 ENDURO and 701 SUPERMOTO models with the latest class leading engine technology have been also released during the second half of the year. Importantly, Husqvarna completed their range of motocross bikes with the introduction of the 2016 TC 50 and TC 65 models. Together with the TC 85 and an extensive line-up of full-sized 2-stroke and 4-stroke models, Husqvarna now offers a complete range of nine motocross bikes. In 2016 Husqvarna also unveiled the serial production version of the VITPILEN 401 and the SVARTPILEN 401 – the brand’s first, exciting ‘Real Street’ motorcycles will be available at dealers’ floor in late Autumn 2017. 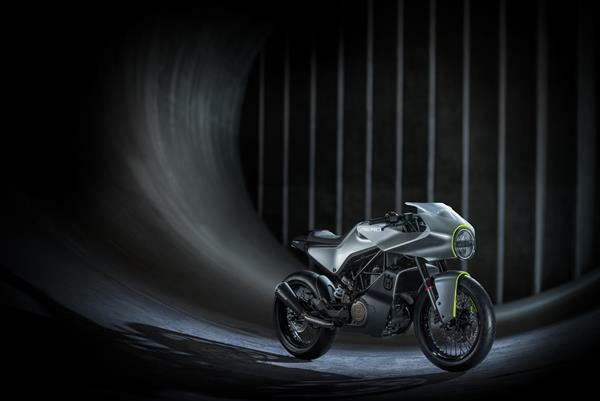 The newly introduced models will ensure the future expansion of the Husqvarna Motorcycles brand in the street motorcycle segment.